So why do people drink green tea? Well personally the main reason that I would brew myself a cup of green tea would be for the caffeine, I am always looking for a little more energy. I actually wish that I could get myself to drink green tea instead of coffee, just because I know it`s so healthy. Now I am pretty sure that the health benefits of green tea are what motivate most people to drink it. But truth be told the taste is very pleasant as well. Whatever the reasons are tea is the second most consumed beverage on the planet. The first most consumed beverage is water. Well no matter if you drink your green tea for pleasure, power or health. Here you have a green tea monograph, so that you can know what its good for. Active Ingredients - caffeine (formerly called theine), tannin (flavonols), theophylline, theobromine, fat, wax, saponins, essential oils, polyphenols particularly catechins, carotene, vitamin C, vitamins A, B1, B12, K and P, flouride, iron, magnesium, calcium, strontium, copper, nickel, and zinc. So what are the health benefits of green tea? Properties – anti-oxidant, anti-bacterial, anti-cancer, helps to lower high blood pressure, help to balance cholesterol levels, reduces blood clotting and acts as a immune stimulant. Dosage – studies that have shown health benefits stated above were with people who were drinking three cups of green tea a day. How to make a cup of green tea? Add one teaspoon of dry green tea leaf to one cup of boiling water and let it steep for five minutes in a covered glass. Then stain out the used leaves and enjoy. Green tea capsules are also available that contain active ingredients that are equivalent to three cups of tea and even more. Green tea is extremely safe. The most common adverse effects reported are caused by the caffeine content in the herb. Adverse effects caused by consuming large amounts of caffeine are insomnia and anxiety. I`m not going to explain because if your reading this you are looking for relief and that what I want to give you. Sunburns – First aid, get some aloe vera leaf, cut off all the skin and thorns and apply it directly on the sun burnt skin. Shea Butter mixed with lavender and tea tree oil should be applied to the skin generously until it has fully recovered. Next time you are out in the sun make sure to wear protective clothing and suntan lotion. Bug bites – lavender oil applied directly to the skin can do wonders for helping get rid of bug bites fast, also it helps to relieve the itching right away. If the itching is too much and the lavender oil just doesn't cut it, you can try using mint oil. Mint oil can't be applied directly to the skin so add twenty drops to a teaspoon of olive oil and put that on to stop the itch. I work my body real hard both mentally and physically. If I get six hours asleep that is really good for me. This is why there is one herb that I use consistently every day. Yes that's right I eat Garlic every day, raw. Because that's the only way that you can get the full benefit of this supper food, by eating it raw. So for this reason I choose garlic to be the first monograph that I am going to write up. Properties - alterative, anthelmintic,anti-cancer, antimicrobial, antioxidant, antiparasitic, antiseptic, antispasmodic, carminative, detoxifier, disinfectant, diuretic, emmenagogue, expectorant, stimulant. Garlic can be helpful with a long list of bodily ailments – Asthma, atherosclerosis, colds, colic, convulsions, cough, ear infection, edema, flue, heart disease, hemorrhoids, high cholesterol, high blood pressure, impotence, indigestion, paralysis, rheumatism, skin disease, T.B, tremor, tumor, round worms and east infection. How much to take? 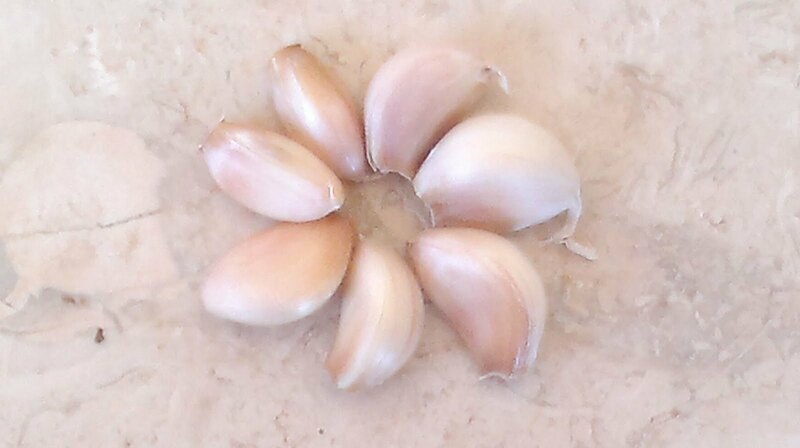 I believe that everyone would benefit from eating one fresh clove of garlic every day. Be warned that it is a potent tasting herb and is easiest eaten mixed with other foods. If you are suffering from any disease that you are trying to treat with garlic, I would recommend three to six cloves a day. Note: garlic is also available in capsules that can be effective as well. Directions – crush the garlic into the oil and lemon juice mix well and pour over the lettuce. It's a funny thing that something that seems so removed from the natural could be so useful in the creation of a healthier greener way of life. It would seem that the internet would decrease human interaction and physical exercise. One may say that if you sit in front of the screen all the time it's the same as sitting in front of the TV. You waste more time and start to eat frozen TV dinners that are low in essential nutrients and packed with carcinogenic chemicals. But the truth is that for a lot of people the opposite is true. They could be more social over the net and can find new ways to live healthier lives. Like they could read this blog or the many others out there like it and learn all new ways to live greener and healthier. All the information you need to go 100% green is at your fingertips. Not to mention the paper that the internet saves. Wait and one last point, gas. Yes that's right I can think of tens of people that make their living from their in home office thanks to the web. No diving to work means no burning gas. I guess it's not so crazy but I thought it was an interesting point. I just read about DNA RNA supplementation about a week or so ago and I think that it's something everyone should be taking. It just seems like a great thing to be giving our bodies. for anyone who doesn't know DNA and RNA are the material in every cell in our body's that has the code, recipe, building plan or whatever else you want to call it, for making new cells and body tissue. Now when a cell reproduces itself the child cell should be an exact duplicate of the parent cell. But then why is it that we get old? So one theory is that by providing our cells with extra amounts of nucleic acids, which are the building blocks of the DNA and RNA, we can help our cells to produce better replicas of themselves and by that slow down the ageing process. What could sound better? 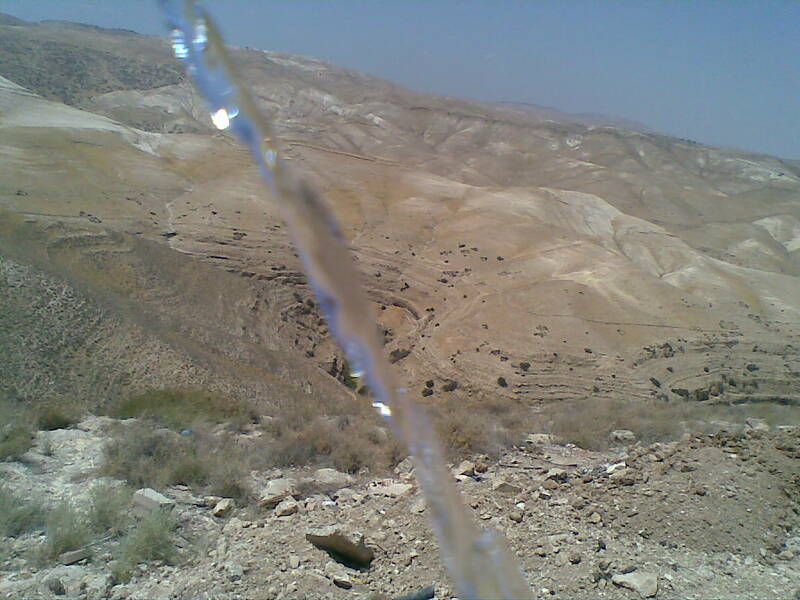 Water is a inorganic compound which is essential for life. Every living cell needs water in order to grow and thrive. Water makes up about 65% of our body mass. 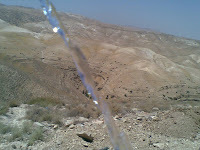 It is so important that unlike food a human being cannot live for more than a few days without water. Water is the material which helps all the different material that makes up our body, to work together. It is what makes it possible for our body’s to absorb and secrete materials from and to the outside environment. Water is the main component that makes up the rivers of blood flowing through our veins, which brings life giving oxygen and nutrient to every cell in our body. Many people can suffer from discomforts that are brought on by a insufficient intake of water. Headaches and fatigue can be signs of mild dehydration. The recommended daily intake of water is about eight cups per day. But one should be aware that caffeinated drinks such and coffee, tea and cola cause the body to loss more water. So if you drink caffeinated beverages you should be drinking even more then the recommended eight cups per day. Also in hot and dry climates one should be sure to drink more. In short water is not just the least expensive nutrient that our bodies need but the most important. Vitamins are organic substances that are produced by plants, which are essential for proper functioning of our bodies. What is the deal with vitamins? Ever since I was a kid I have heard about vitamin C and that its great to help you body fight off diseases. I know that this is the way that a lot of people fell about vitamins but the truth is that if used correctly vitamins can realy help improve your health. They can help you to fell more energized, relaxed, focused and even happier. A good example of a vitamin supplement that is good for everybody is a B-complex plus C vitamin. As I said before most people know that vitamin C is good for strengthening the immune system but the truth is that vitamin C has over six hundred different uses in the body. It helps in the production and repair of bone, teeth and hair. It helps to control inflammation in the body. It also helps with the production of energy on the cellular level. B-complex vitamins are all essential for the creating of energy on the cellular level. And the good that about these vitamins (B-complex and C) si that they are water soluble vitamins which means that the body is able to secrete them easily through the urine if there is an excess amount in the body. This is unlike vitamins A, D, E and K, which are fat soluble and can be toxic if take in large amounts. A lot of people have tried tacking a multi-vitamin and simply say that they took it because they know that its good for them but they didn’t feel anything. When you take a multi-vitamin that has optimal amounts of b-complex and C vitamins then you really do feel it. The pain caused by sore muscles can be effectively treated using herbal remedies. This treatment method can also be explained very simply. All you need to know is what herbs to use and how to use them. Three of the many herbs that can be used to help relieve the pain caused by sore muscles are capsicum (chili pepper), clove bud and mint. Capsicum is the strongest and should be used caution because it can irritate the skin. Clove bud works really well but preparation requires boiling it for five minutes while the other two just need to be steeped in boiling water. Mint is great because if you have muscular pain often you can easily grow it in your garden and always have it on hand. So how do you use these herbs to help with your muscle pain? To use the capsicum add five teaspoons to five cups boiling water and let it steep for five minutes. To use the clove bud use also five teaspoons to five cups water but boil the clove bud for five minutes. To use the mint add 2.5 cups of dry or fresh mint leaf to five cups boiling water and let steep for five minutes. Once the liquid has cooled enough so that it won't damage the skin you may strain out the used herb. Then wet a piece cloth in the solution and place in the painful area for ten to fifteen minutes. To improve the results place a hot water bottle on top of the cloth and repeat several times. A great topical herbal product that can help to naturally relieve muscle pain is TIGER BALM. 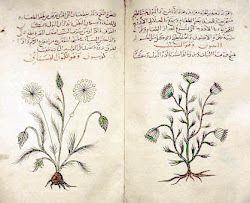 Here you can read a brief introduction to tinctures. The basic questions that I want to answer here are as follows. What is a tincture? How are tinctures made? And, how do you use tinctures? A tincture is liquid extract of any type of plant mater. Tinctures are most often made with a alcohol based liquid with a alcohol percentage of between 40 – 60 %. A tincture can also be made on a vinegar or glycerol base. Alcohol tinctures are use most often because they stay the longest and are best absorbed into the body. Glycerol is used to make tinctures for children because it has a sweet taste. There are many different ways that a tincture can be made. For every plant there is a alcohol percentage which is optimal for the preparation of a tincture of that herb. There is also an amount of liquid to weight of dry herb that is optimal for each individual plant. The simple way to make a tincture is as follows. Decide which herb you would like to make a tincture out of. Crush or grind the herb as much as possible. Put the crushed herb into a air tight sealable container. Now fill the container with vodka or any other grain alcohol of 40 – 60 %. Fill it so that the alcohol is covering the dry herb by just a little bit. Now shake every day for two weeks. If you see that the alcohol is no longer covering the herb then add alcohol. After two weeks strain out the herb using a cheese cloth and keep the finished product in a dark glass container. Standard dose for internal use of tinctures is 30 drops 3 times a day. Now you will know what some one is talking if they say the word tincture. Hey don't worry about it I am guilty also. There is nothing I like more then to sit on a Friday night after the kids go to sleep and drink a few cups of dry red wine. Whether it is at a festive meal with my friends, or just me and my wife. I like to get a little drunk on the weekends. I don't drink like I did when I was a teenager but I do still like to inebriate myself on the weekends. We all know that drinking alcohol is bad for our bodies, but hey everything in proportion right? So what is it that alcohol does to our bodies that is so harmful? First off it dehydrates us. This is why you can wake up in the morning with a mouth as dry as the Nevada dessert during a drought. Second it increases the acidity of the stomach and digestive tract as well as the rest of the body. This is why you get the heart burn. And if you don't watch out this can also cause stomach ulcers. Third it depletes your body of important vitamins. Most vital of which being those of the B complex vitamins. This is one of the big reasons people suffer from headaches the morning after drinking large amounts. So now I drink smart. I make sure to drink lots of water when drinking. I eat foods that help keep my acid levels balanced. Examples of good foods to eat when drinking are cucumbers, lettuce, almonds and sesame products. And I take a 100 mg B-complex vitamin before and after I drink. My close friends know that I can get up early and function fine, even after consuming large amounts of alcoholic beverages the night before. But wait what about the liver? Yes alcohol is very harmful to our livers as well. Daily consumption of alcohol can result in the liver disease known as cirrhosis and liver cancer. So what is Milk Thistle? Milk Thistle is an herb that is known to be a hepatoprotector which helps protect the liver cells. Many studies have found Milk thistle to help with liver diseases such as cirrhosis and hepatitis. When and how should you take Milk Thistle if you drink? If you drink regularly then you should take Milk Thistle regularly as well. You can purchase Milk Thistle capsules at almost any Pharmacy. You should take one a day of most capsules. So my suggestion is this. Don't drink every day. And if you are like me and like to drink on the weekend, get yourself some milk thistle and take it. Why Would You Take a Multivitamin? What exactly is a multivitamin? Why would someone need to take a multivitamin? What are the differences between the different multivitamins? These questions and many other are going to be my focus here. Because I think that it's important for people to know the health benefits of multivitamins and also to how to choose which one is best for them. A multivitamin is a food supplement that contains all of the essential vitamins and minerals that our body needs to operate at its optimal potential. To truly accurate when I am speaking here about a multivitamin in truth I am talking about a multi vitamin and mineral supplement. In my opinion everyone should take a multivitamin. I take two every day and so do my wife and my sons. I look at it like super fuel for our biological engines. A lot of people have asked me in the past. What do I need a multivitamin for when I eat food? Well that is a good question and the answer is not so simple. For starters our bodies need a very large range of different vitamins and minerals to keep us functioning at our maximum potential. And in order to get the full list we need to be eating a large variety of different foods. Please don't mistake variety for quantity because it's not how much you eat, but what you eat. The recommended daily intake of fresh fruits and vegetables is seven cups. Now most people are not eating seven cups of fresh fruits and vegetables a day. There for these people would benefit from supplementing their diet with a multivitamin. Also a lot of our foods are not whole. Rice is the classic example of vitamin deficiency do to consumption of food not in its whole form. For those who don't know the story I will tell you it in short. It was when white rice became popular and replaced brown rice. People who had a diet that was made up largely of rice started to suffer from a sickness known as Beriberi. Beriberi in the end was found not to be a sickness at all but a thiamin or vitamin B1 deficiency. This was because the thiamin in the rise was being removed during the polishing process. So because of this fact, that a lot of the foods that make up our diet are processed and not whole. It is a good idea to take a multivitamin. One important question to mention when talking about multivitamins or any vitamin really is how much does the body need. When you look a vitamin, or even nutritional information on food labels. What you see written there in the RDA, the recommended daily allowance. But the RDA is the bare minimum that the body needs to function. The new standard for supplements is the ODA. ODA stands for optimal daily allowance and that is what I look for when I go out to buy a multivitamin. My current multi vitamin and mineral supplement of choice is the GNC brand Mega Men supplement. What I really love about this supplement is that it has 50 mg of B complex in each pill. To read more about why B complex is good for you take a look at my previous post on B complex. Another good multivitamin that I have taken in the past is the Sulgar brand Multimale supplement. I personally think that it's a good idea to switch brands of multivitamins every half a year or so. The reason for this is because today most of the good quality multi supplements have antioxidant and healthy herbal formulas in them as well. I think that is good to get as many different kinds of these herbs as you can. By changing your multi every six months or even four months you increase the variety of health promoting substances you put into your body. So if you are not eating seven cups a day a fresh fruits and vegetables. If you don't eat only whole and non processed foods. If you want to give your body a boost of good health every day. Go out and get yourself a good multivitamin.